One of the most pressing issues with regard to senators is that either he or she is too close for comfort with the president or so antagonistic that despite good intentions of other political leaders some senators are always on the warpath. Thus, Filipino voters should bear in mind that the senators that they vote should matter to the president that they will vote. In other words, there should be a balance between party mates and oppositionists. It is not good when the senators that will be voted are presidential lapdogs and more so if the winners are so against with everything else. Initially, there were more than 100 who filed their certificates of candidacy running for one of the 12 available slots as incoming senators come next election. By virtue of Commission on Election (COMELEC) procedures, the list was trimmed down and last January 21, 2016, it came up with final list of eligible candidates. The final count per this list is 52 senatorial candidates. Looking at the list it is a mixed bag of candidates where there are those who are seeking re-elections, newbies, and the perennial losers. Individually, the candidates are varied in terms of profession; there are lawyers, showbiz personalities, advocates, former congressmen, former cabinet secretaries, instant celebrities, whistleblower, a boxing champ, soldiers and ex-military men, and what have you. The list will make voters confuse as some of these names are familiar others are not. Some are worth voting, and some are worth considering, and some are worth trying. And there are just some whose names should not be in the list in the first place. Now, before you make your choices with regard to whom shall be your 12 senators, it is right that you should know what are the roles of Senators so that you will be guided accordingly and come up with right choices and right leaders. Take note that our Senate is modeled with that of The US Senate thus, it wields equal power with the House of Congress as every resolution and bill has to go through both houses and needs agreement by both house before that resolution or bill is pass to the president for signature. 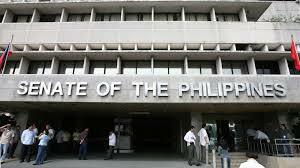 However, once the House of Senate vetoed the bill it has lost its chance to become a law. The bill should be approved by the Senate on the third reading it goes back to the House of Congress unless if there are similar bills or resolutions and in this case a bicameral resolution is needed to settle the matter or which version to pursue. · Scrutinizing the work of the government as a whole. · Create and defend legislations. 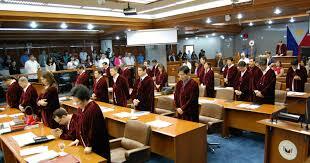 · Become a member of different Senate Committee to analyze information gathered from different sources in the community or in the country, presented by lobby groups and advocates, and other members of the society where these information may aid them in formulating relevant laws for the betterment of the country. · Attend and participate on Senate hearings in aid of legislation. · Promote their views in the Senate. The twelve senators that matters is a personal thing. 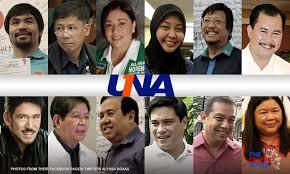 Each voter has different set of candidates. While political parties are encouraging voters to bloc vote, however, it has been standard practice of many senatorial candidates to align themselves with more than one party. Recent trends in voting senators revealed that re-electionist tend to win a seat, famous movies star sometimes are guaranteed to win, and sons and daughters of politicians have better chances of winning even their relatives too. 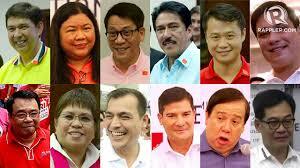 Many groups advocating choosing right leaders are frustrated as their advocacy are not realized. Filipinos tend to have this fan mentality and “alipin” complex where they vote those whom they are familiar with and whom they believe can improve their individual lives not the collective lives of all Filipinos. Thus, at the end of election period, many are frustrated with the results as there are those who are more credible, qualified, and competent end up as losers. In the first place, how can one choose the right leaders when only a few are considered credible, qualified, and competent?